The funny thing about statistics is you can really manipulate them to say pretty much whatever you want. Airlines are certainly good at doing that when it comes to on-time performance. United says it was the best of the legacy carriers in February of this year. American says the same thing. Southwest can also lay claim to it. If you go beyond the legacies then Alaska and Hawaiian have legitimate claims as well. So who is right? It just depends on which set of numbers you think matters most. To illustrate this, I dug into masFlight’s data, and narrowed it down to the big four airlines in the US (American, Delta, Southwest, and United). I included both mainline and regional numbers all lumped together. This makes it easy to compare, but I must apologize to Alaska. Their numbers were so good, it skewed the graphs and made it harder to illustrate my point clearly. I’ll get back to them later, but kudos to them for absolutely crushing it. Let’s start with American’s favorite metric, D0. As far as American is concerned, the best way to run an on-time operation is to get those airplanes off the gate at or before scheduled departure time. And sure enough, American is very good at that. You’ve probably cursed American for leaving the gate just as you ran, out of breath, from your late connecting flight. But in general, American is right. The best way to keep an airline running on time is to leave on time. But if that’s the case, then why does this next metric look so different? This is arrivals exactly on time (or earlier), A0. The chart has completely flipped. And if we look at the metric the Department of Transportation uses (arrivals within 14 minutes), it’s even more pronounced. Now all of a sudden, American has the worst performance of the big four while Southwest has the best. What the heck is going on here? Well, this illustrates the time-honored tradition of airlines padding their block times. See, airlines have to figure out how long to schedule a flight. If you say a flight from LA to San Francisco is going to take 8 hours, chances are you will always arrive before schedule, even with those horrible SFO delays. The downside for an airline is that to schedule a 1 hour flight to take 8 hours, you have to then commit an airplane to that lengthy time. You have to staff for that, and it just makes for a hugely inefficient operation. Of course, nobody is actually scheduling flights with that extreme amount of padding, but different airlines have different strategies. If your block times are too tight, you won’t run enough flights on time. If they’re too long, you’ll run an expensive and inefficient operation. So what’s the best way to do this? Well let’s take a look at one of my favorite metrics, B0. This shows the percentage of flights that operated within their scheduled block times in February. Let’s be very clear about what this means first. Delta has a flight from LA to SFO that is scheduled to leave at 12p and arrive at 132p. That means its scheduled block time is 1 hour and 32 minutes. If the flight leaves at 12p and arrives at or before 132p, then it will have operated within scheduled block time. But what if it’s delayed an hour and doesn’t leave until 1p? Well then, as long as it arrives by 232p, it will have still operated within the scheduled 1 hour and 32 minute block time. Departure and arrival time doesn’t really matter. It’s just looking at the duration. Make sense? So this chart shows the percent of flights that operated within that scheduled block time. What does it tell us? Exactly what you’d expect. American is completing just shy of 70 percent of its flights within the scheduled block time. That means American is running a leaner operation and is trying to keep block times tight. For it to run like this and still have more than 80 percent of flights arrive within 14 minutes of schedule is impressive. Yet it still does make you wonder if American could use a little more padding in there. At the other end, look at what Southwest is doing. It’s operating more than 80 percent of flights within scheduled block. That means the airline is likely being very conservative and is running a less efficient operation. If you’re a passenger, you might not care. But financially and operationally, it’s not where you want to be. Remember I said Alaska was amazing? It had a better D0 than any of the big 4 at 77.2 percent (mainline was over 80 percent! ), and a better A14 as well at 90.7 percent. It did all this with a B0 of 71.7 percent. That is THE operation to emulate. Last time I wrote about United, I found out that it calculates its push back times differently. For most airlines, the clock starts when the brakes are released on the airplane at the gate. But United doesn’t start the clock until the airplane actually starts moving backwards. What does that mean? If it used brake-release time like everyone else, its D0 would be higher, and its B0 would be lower. By how much, I don’t know. American and Delta push their mainline and express flights at roughly the same rate (within a couple points), but not United. United had a mainline D0 of only 64.5 percent yet a regional D0 of 73.2 percent. At the same time, United mainline arrived within 14 minutes of schedule 87.3 percent of the time while Express was only at 82.1 percent. You all know why. United is padding the heck out of mainline with a B0 of 86.8 percent. Express, however, has a B0 of only 71.6 percent. Neither Spirit nor Allegiant could get even half of their airplanes off the gate on time. Allegiant didn’t even get 60 percent of flights to the gate within 14 minutes of schedule while Spirit made it to 65 percent. They also had the tightest block performance with B0 at 49.66 and 62.95 percent respectively. Frontier, on the other hand, got 77 percent of flights out on time with 88.8 percent arriving within 14 minutes. The B0? An extremely high 85 percent. They’re buying on-time performance with longer blocks. That’s ok if it’s temporary while they get their house in order, but it’s probably not sustainable in the long run for an ultra low cost carrier. JetBlue did not do well. It had 53 percent of flights leave on time and just over 70 percent arriving within 14 minutes of schedule. But it had a B0 equal to American so it’s trying to run a more efficient operation. That’s not easy to do in the northeast. Yep. At United/ BOS Logan when working in Ops we would send an ACARS to the flt deck and have them pushed back about 10 feet just to get the on time, even before push clearance was granted. That was hard work back in the late 90s when no one cared about on time as much. At least at UA it was not an on-time culture, then. Block time was always a big thing for Doug and his crew at US. I’m surprised AA isn’t fairing better, but as we all know the challenges are very different at a global carrier. Have you considered the impact that company culture within the pilot group might have on that B0 number? Watch enough airplanes taxiing around and you’ll notice that, generally speaking, SWA taxis like racecar drivers while AA goes at a snail’s pace. I’d be curious to see if you could pull a few city pairs from that data where SWA and AA are operating head to head with 737s. I wouldn’t be surprised to find that SWA runs a better B0 despite similar (maybe even shorter!) block times. Joel – There are far too many things that go into block time to be able to really look at this on a route by route basis. For example, think about LAX to Phoenix. From LAX, Southwest has an extremely short taxi to the north runways, which it’ll usually use. American has a long taxi distance from its terminals. Then in Phoenix, arrivals from LA very often use the south runways, and that means it’s a shorter taxi in for Southwest than American. Departures to PHX from LAX almost always depart 25R, the south runway. Can’t speak for United, but at UEX they wanted brake release to coincide with push clearance and would fine regionals that had a big gap between the two. Both the regionals and their labor charge by the block hour, so delaying the start of it saves money. On the flip side United can’t (won’t?) staff regional hub gates to save their lives, and a great many flights wait five minutes or more for ramp agents, adding unnecessarily to the block time. Just take one look at the penalty box at ORD and see it full of UEX and Eagles all day every day. Scheduled block time is just half of the efficiency equation – ground time is the other half. If you consider scheduled ground time, your view of efficiency will change a good bit, especially for Southwest. “Padding” can happen on the ground just as easily. Noah, I agree, but I’d really like to know what an airline’s A30 and A60s are as well. Arriving 24 minutes late for me isn’t usually a big deal, but when my arrival time is over an hour late, then its an issue. Noah – Well that’s absolutely right. But if you were an investor, an employee, or an ops person, then you’d care deeply about the other numbers. It’s a balance with different stakeholders caring about different things. That scheduled block time is just dumb. If a flight is to operate between 1pm and 232pm between two cities I don’t care if the flight was still an 1 and 32 minutes between 5pm and 632pm, I want it to operate when it was supposed to between 1pm and 232pm. And you are right, ‘numbers’ can be worded differently to make you look good or the other guy look bad. You just have to think if some company is pitching data to make it stand out, then you have to figure it’s not the true picture. I agree that as an on-time metric its useless, but it does help tell an important bit of the story that of what is happening with D0, A0, and A15. David SF – The B0 metric is not for customers to care about. It’s all about the efficiency of the airline. It’s an internal metric. Sorry, another week, another rant, as usual toward UA, the airline I use most. Marketing information omission, perhaps data manipulation to deceive, whatever, give the customer a little something but makes sure it doesn’t make us look bad. masFlight may be nice, but does the typical passenger ever use that data, when he or she is making a booking. How about what the customer sees as to UA’s record as to “past performance” on the actual UA web site? The 10:15a (UA684) and 5:01p (UA511) show in the past performance popups, 84% and 73%, on-time, respectively. The 7:28a (UA1621) and 1:31p (UA221) non-stop, however, show: “There is no recent record of delay and cancellation percentage for this flight.” Yet, flights at these times run almost every day, day after day, week after week, year after year, but no record, huh? Even the 5:01p (UA511) for Friday. mysteriously shows “There is no recent record…,” even thought all the previous days do show a record. Hello! When I make a booking, I don’t simply look for a FLIGHT NUMBER to book, I look for something at a TIME, give or take a few minutes, like a time-block. Maybe the flight number has never been used before, I don’t care. Just tell me your record for this time, the flight number be damned! UA apparently picks and chooses where and when it will give past performances. Customers don’t care, I guess. I do! Every flight for every service over, say, an hour’s time-block, between any 2 nontstop points, should have a past performance. Of course, I accept that an airline can start a new route, operate in a brand new time-block, or such, and legitimately have no past record. But with UA, as between IAD and ORD? Something isn’t right here and should be changed! Great article! Operational reliability and how airlines achieve it (or fail to do so) impacts airline revenues, costs, employees, and customers along with their airports. Understanding the full picture provides a lot of insights. Interesting analysis. Obviously many ways to goose metrics. In the end customers/passengers are buying time. When we buy plane tickets it is to get from point A to point B with our bags, on a clean and safe aircraft, when we are supposed to arrive. As a business traveler, if I can’t rely on the carrier to be on-time I may have to fly in earlier, or the day prior. Reliability is my ultimate loyalty currency, not FF miles. There is of course a balance between a perfect operation and sweating your assets (planes, gates, equipment, staff). I am glad the industry as a whole is looking at OTP more closely. Based on things like ATC, weather, etc. it can sometimes be fine to leave late and still arrive on-time. That’s why OTA should be the focus, not departures. Carriers should delay flights to minimize missed connections (people, bags, cargo) if they can make up the time, rather that stubbornly rolling back at set departure time. This tho requires critical thinking, cross-team coordination, good data and technology, and engaged employees, which is a rare mix to have in the biz. 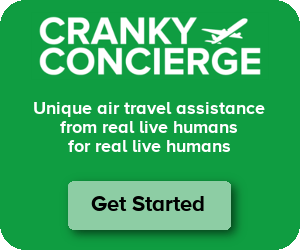 Cranky, you’ve no doubt seen this analysis by FiveThirtyEight (http://fivethirtyeight.com/features/fastest-airlines-fastest-airports/) but it nicely complements your own analysis. They compared airlines’ actual block times on specific routes against a standardized time they derived to see what flights and what airlines are consistently faster or slower than others. From this they can also figure out which airports have the most delay time built in and which airlines pad most. Not surprisingly United and American block a few minutes Slower than you’d expect; Virgin, US Airways (it is based on historical data, after all), and Alaska block a few minutes faster. The NYC airports have far more built-in delay time than all others, CHI airports next worse at 2/3 as bad, HNL is unsurprisingly best. I couldn’t agree more with Noah. I will even assign my level of caring percentages. I would say <= A0 is 90% of what I care about, followed by A14 at 7% and D0 at 3% (only due to not wanting to sit around on an airplane before departure longer than I have to). I don't really care if the airline pads the schedule. I look for a flight where the arrival meets my needs, and then that is what I want them to hit (or early…). I can see why the airline internally probably needs to care more about D0 and B0, since that is how they control meeting schedule, but they miss the boat when they lose sight of the fact that it is all about A0 for the travelling public. Numbers are really interesting, that’s for sure. But when I worked for UAX, our profit sharing metric was actually based off of D0. You know what? That makes complete and total sense to me, at least in terms of my job function on the ramp. The thing is, for profit sharing programs, you really want to incentivize behavior. Basing profit sharing for station personnel on A0/A14 does nothing to change what employees do… but they sure as hell have an impact on getting flights out on time. Truncating your Y axis can be misleading, especially with you do it by varying amounts from graph to graph (first graph has a range of 5 points, second graph has a range of 16 points). To me, A14 and A30 are most important. As a customer that usually has to connect at some hub, I want to make sure I am able to connect. D0 is useless if you don’t get to your destination on time. OTOH, it looks like UA has really improved it’s on time numbers now that Jeff is gone. I noticed the same thing Joe did. The D0 graph in particular has small differences between the carriers, but they’ve been magnified by the Y axis scale, which is perhaps moderately inappropriate. It would help to at least mention how similar D0 performance was amongst the airlines (and add your bit about United/brake release in that section as well). Why are the within-block times (B0) as low as they are for all of the airlines? The only reasons that I can think of for failure to make the flight within the block time are stuff like en-route weather and ATC delays. Is that really ~20% of all flights? Or is there some cause I’m not seeing? Consider that achieving 50% BO means that the airline is scheduling at approximately average block time. Also, 70% would likely be a much higher number if looking at flying within 5 minutes of scheduled block time rather than exactly at scheduled block time. Schedules are typically published seasonally with small updates monthly. Winds and other factors can vary on a daily basis within any given month. For East-West flying, slower in one direction often means faster in the other direction the same day. grichard – To further illustrate worldtraveller’s point, take a look at American flight 2 from LAX to JFK. In the last week, that flight has taken (according to Flightaware) 4:33, 4:54, 4:51, 4:51, 5:31, 4:45, and 4:30 each day. The numbers are all over the map. That long one required diverting around some en-route storms. But even without storms, winds are going to cause variation, and the airlines simply can’t plan for it. They do know that a westbound flight across the country will be shorter in the summer than the winter due to stronger winter winds, so they plan that way, as worldtraveller says, but they can’t be right every day.